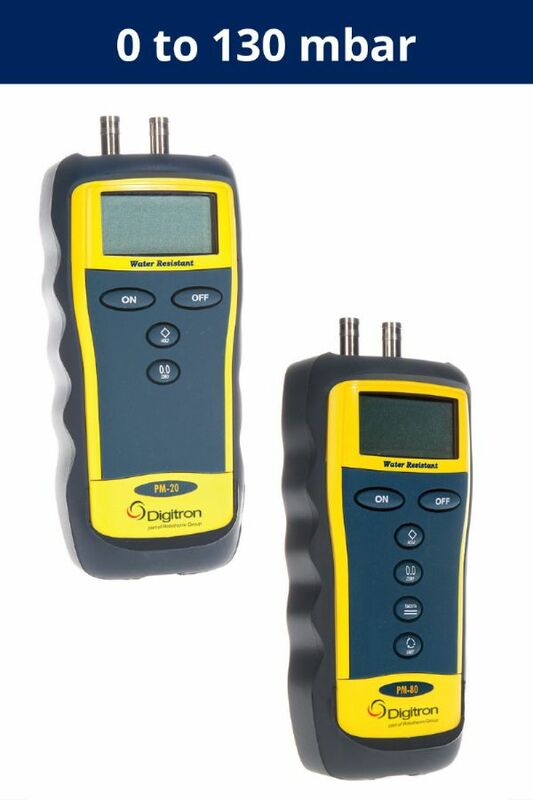 Featuring 0-130 millibar measurement range this fast response pressure meter is water resistant and comes with a rubber boot. Using measurement technology developed from the 2000 Series the PM range offers good performance at an affordable price. Specifically designed for engineers using twin tube connections, the PM range is ideal for soundness testing and setting up boiler differential gas pressures. Manufactured from tough ABS plastic, this water-resistant instrument is supplied with a rubber boot to provide added protection during routine use. It can be magnetically attached for ease of use, and the back lit LCD allows easy viewing of the display in poor light conditions.